This smart, modern apartment is stylish as well as functional and caters for both the business executive and today's modern family. 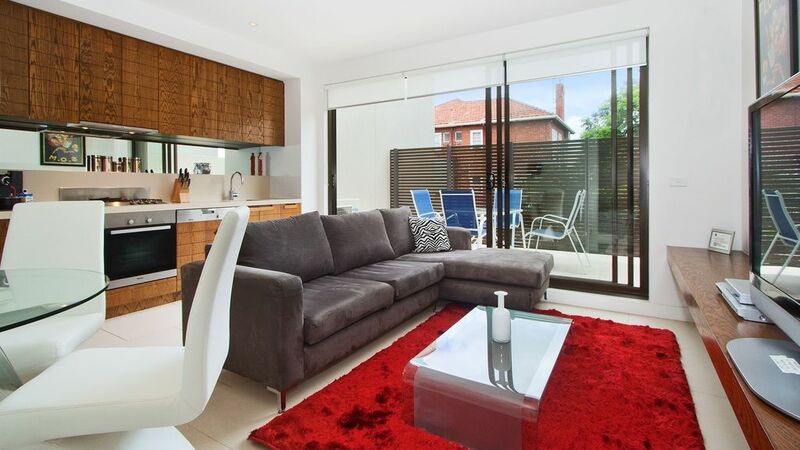 You will find yourself superbly located on leafy, picturesque and quiet Herbert St directly across the road from the St Kilda Botanical Gardens. However, you will also be a very short walk to the Barkly and Acland St cafe and shopping strips and some of Melbourne’s most loved restaurants and bars as well as to St Kilda beach and the No. 96 tram which will take you directly into to the city via the light rail which runs along Albert Park and Albert Park Lake.